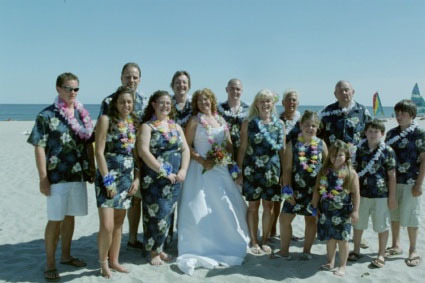 Please see the attached photo of our wedding which was on the beach in Ventnor, NJ on June 23rd 2007. The entire bridal party wore matching shirts/dresses from your store. The wedding was wonderful and all the guests loved the Hawaiian theme!